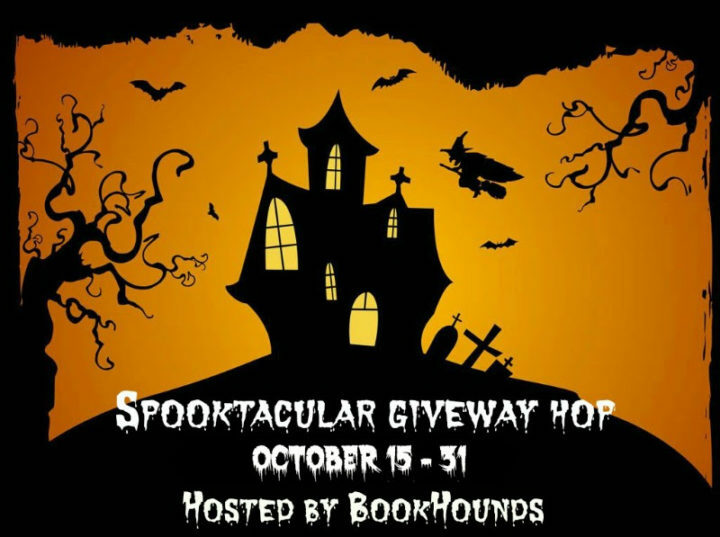 Spooktacular #Giveaway Hop #win $10 for a Spooky Read! 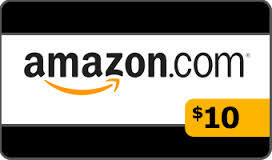 This hop starts at 9 am Pacific on October 15 and ends on October 31. Giveaway Ends 10.31.17 and open to all who can legally enter. The spookiest book I ever read was The Tommyknockers by Stephen King. The second spookiest book I have read is Afraid by Jack Kilborn. I’m not really a spooky book reader so the scariest is JLAs Till Death. Thanks for hosting. The Descent by Jeff Long creeped me out for years lol. I don’t really read Spooky books, but I have seen spooky movies…… Carrie is a spooky one! I haven’t read spooky or horror books in awhile. But Misery and the Shining are 2 of the spookiest I’ve read. I don’t read scary books, just watch scary movies. Dean Koontz’ Whispers. I read it when I was only 12 and had nightmares for weeks afterwards! Great book though! The Exorcist, read when I was maybe 20 and said never again lol. I don’t really like spooky books now unless they’re cozy mysteries. I don’t read spooky books because they’ll keep me up at night. The Exorcist is pretty high up on that list. Probably something by Stephen King, not sure which, though. The spookiest book I’ve ever read was Carrie by Stephen King. I found Invisible Monsters very creepy, even though it’s not a spooky book per se. I don’t deliberately read spooky books, but I have read some that scared me – I recently read Nora Roberts new book ‘Year One’ – that scared me. I don’t really read a lot of spooky books but The Child Thief by Brom would rank up there. I’ve read a lot of spooky books so this was a tough one. I decided to go with House of Leaves by Mark Z. Danielewski. Reading it is the literary equivalent of climbing Mount Everest. There is a lot going on. It starts out very slowly (you have to be patient) and then you will be entranced. There’s a sense of dread lingering always…leaking through the pages. There’s nothing more fearful than the unknown and the book is full of unknown, unexplained horrors. It’s weird layout and endless footnotes make it one of the most atmospheric horror books out there. The book is a maze, a frightening enigma…a dark door to a dreadful world. The spookiest book Ive read is The Amityville Horror! Hi, Mary! 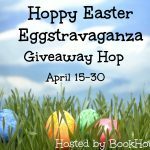 Thanks so much for the giveaway, and for hosting this AWESOME hop every year!!!!! YAAAAAY!!!!! To answer your question, the spookiest book I ever read was “The Exorcist”, and I am VERY sorry I read it, as I had nightmares for weeks afterward!! So now I steer completely away from the horror genre. I MUCH prefer to read lighthearted, funny, PNF/UF books, like those by Lynsay Sands and Kerrlyn Sparks. No more horror for me!! Lol. Any of Stephen Kings books have been spooky. The scariest book I’ve ever read was Hellbound Heart by Clive Barker. I always found Steven King’s books to be spooky. Pet Semetary was the scariest book though about any of Stephen King’s books fall in that category. I don’t usually read spooky books so the closest I can come to the theme is Cell by Stephen King and The Stand, also by Stephen King. It by Stephen King is the spookiest book I’ve read. I can’t remember the name but I’m sure it was a Stephen King book. Mystery & suspense books? Love them! Truly spooky books, the ones that keep you up at night…I completely avoid them! The spookiest book I read was The House on Hackman’s Hill! Any of Stephen King’s books. The scariest book I’ve ever read is Ten by Gretchen McNeil. Anything by Stephen King. I can’t even choose just one. I mean, he’s STEPHEN KING! The Shining by Stephen King is very spooky!! It and The Shining are the 2 spookiest books I’ve read. Stephen King has a twisted mind. I’ve read so many, there is no way I can choose only one. The original Dracula! Really creepy stuff. I read “IT” when I was younger and it terrified me. I watched the original movie and it was scary but the book was terrifying. One of the spookiest books I’ve ever read is definitely Night Shift by Stephen King. IT by Stephen King – scary! The Sneaker Tree by Phil Taylor. Christine by Stephen King. That one STILL gives me nightmares! The spookiest book I’ve ever read is probably Trigger Warning by Neil Gaiman. I dont read much horror books. Hi, Carrie by Stephen King, much better than the movie. The one that gave me nightmares was Pet Cemetary by Stephan King. Yipes! I don’t read scary books. The Shining by King was the spookiest book I ever read! A true creepy classic. There are a couple of truly spooky books I have read-The Haunting of Hill House by Shirley Jackson, and Frankenstein by Mary Shelley. Every Stephen King book I’ve ever read is spooky. The scariest book I have read would be the Amityville Horror. The scarest book I’ve ever read has to be IT by Stephen King! Just about anything by Stephen King, but especially The Stand. The Alvin Schwartz Scary Stories to Read in the Dark books. Broken Glass by VC Andrews was pretty spooky! The spookiest book I ever read was Silence of the Lambs and all of those sequels. The spookiest book I have ever read is Salem’s Lot by Stephen King. I don’t really read spooky books. Maybe Anna Dressed in Blood or The Lottery. That kinda freaked me out but not because it was spooky.. just that it could happen. The spookiest book I’ve read is The Talisman by Stephen King. I think the spookiest book I have read lately was the dead house. I don’t know why but ‘Dolores Claiborne’ has always scared me. The spookiest book that I’ve read is The Shining by Stephen King. The spookiest book is first days by R. Frater. Scary books just don’t interest me but I suppose And Then There Were None by Agatha Christie could be considered a bit spooky. The spookiest book I ever read was Salem’s Lot by Stephen King.